The team track photos below are taken in the town of Magdalena, population of about 45,000. 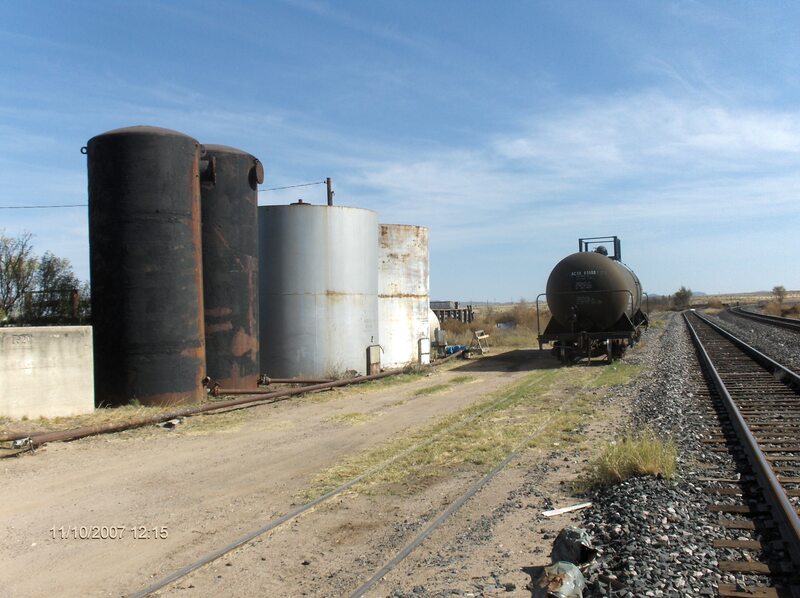 Industries served by rail located in Magdalena include the Coop Elevator, feed mill, beer distributor, wholesale food warehouse, newspaper printing company, bakery, specialty cotton finishing plant, scrap aluminum bailing operation, and a team track. 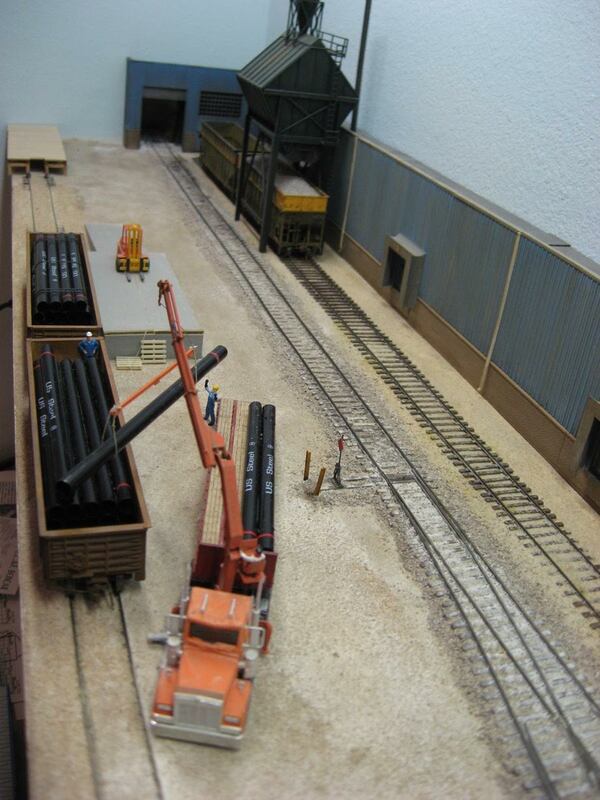 The team track is regularly used by the local building supply for inbound shipments of lumber, brick, and bagged cement. Other occasional shipments include asphalt for the highway department and parking lot paving, pipe for the expansion of the city water and sewer systems, farm combines and heavy construction equipment, rebar, and poles and wire for the electric power company. Pipe is a frequent inbound. All shipments are pretty much inbound loads, I can’t remember an outbound load from the team track. 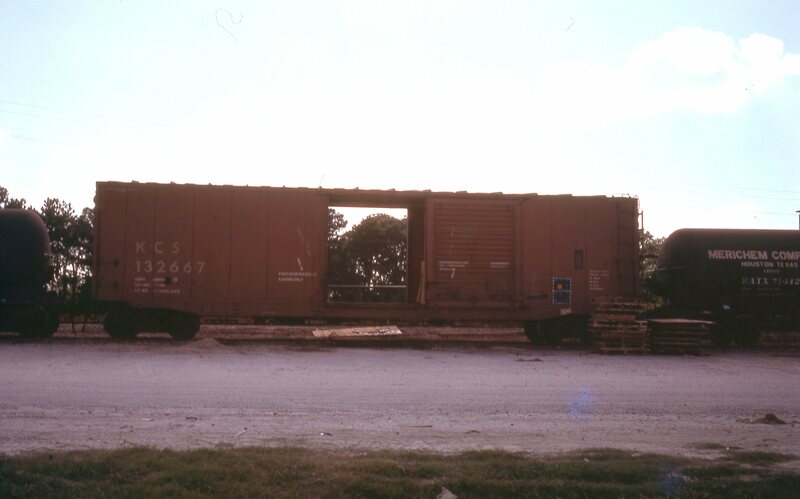 When a box car is spotted, if you aren’t there to see it unloaded you usually can’t tell what it carried. Some loads are more obvious. 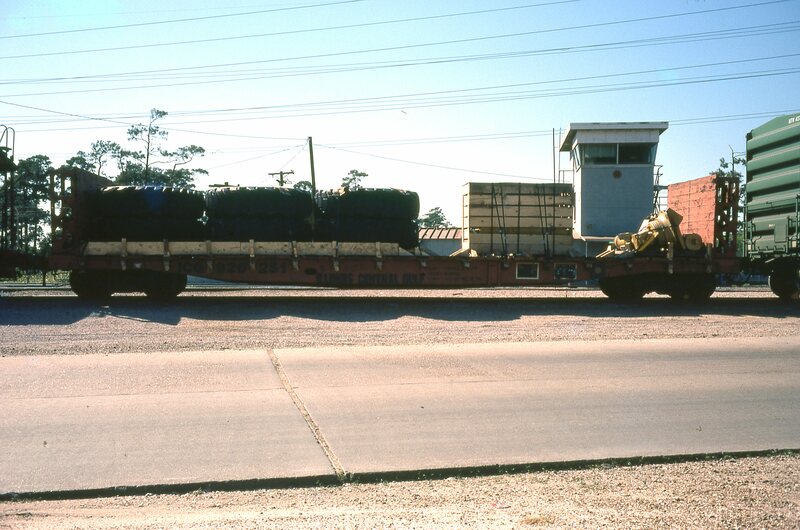 The highway department frequently receives material. Gons loaded with asphalt. They are not on the team track yet where they will be unloaded. 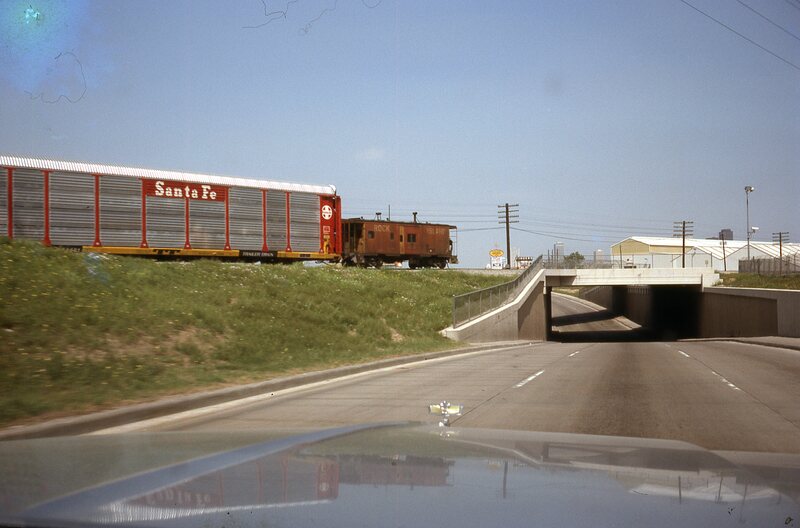 Three gons loaded with asphalt were spotted near the ATSF station in Alpine, TX in the late 70’s/early 80’s. 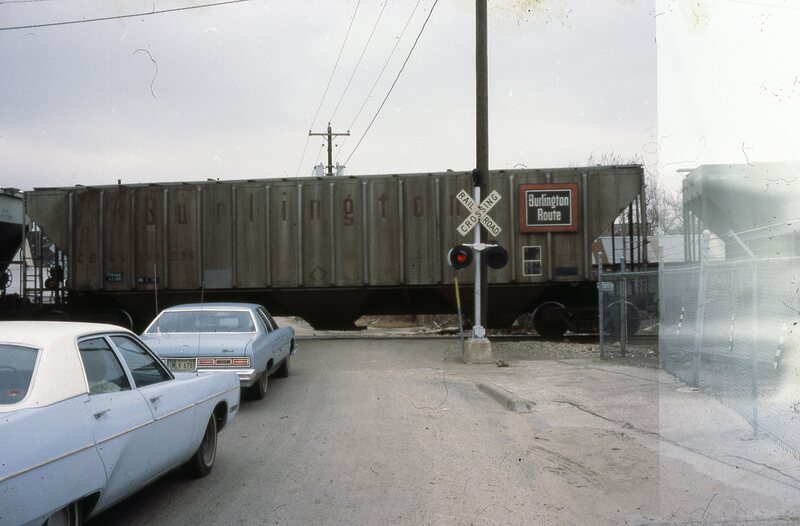 That was about the only time I ever saw rail cars spotted for unloading by the ATSF station in Alpine. 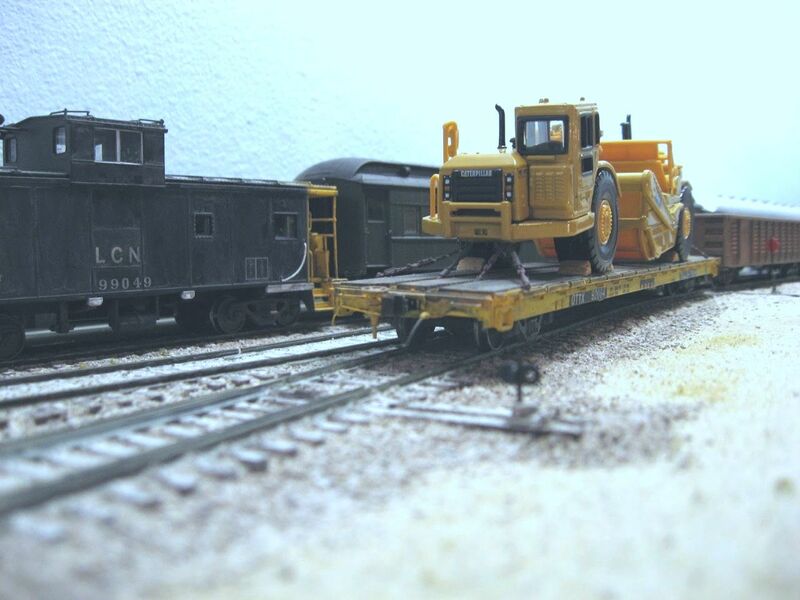 As you can see, that short 2-3 feet of track has offered the LCN RR a lot of interesting and diverse operations. 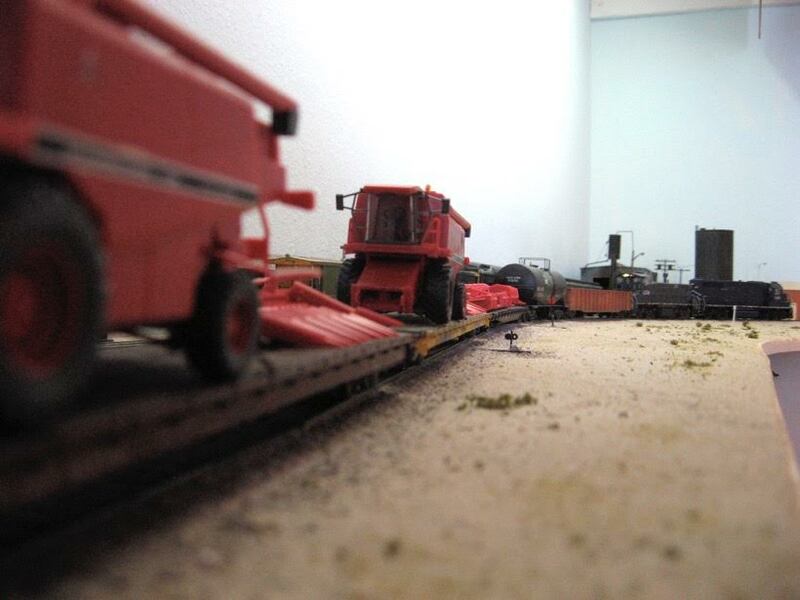 The last few posts, I shared some vignettes or scenes that evoke special memories that I may seek to at least partially evoke through modelling in the future (somehow). This post will conclude this series and touch on teams tracks and diversity of road names. I really like team tracks. 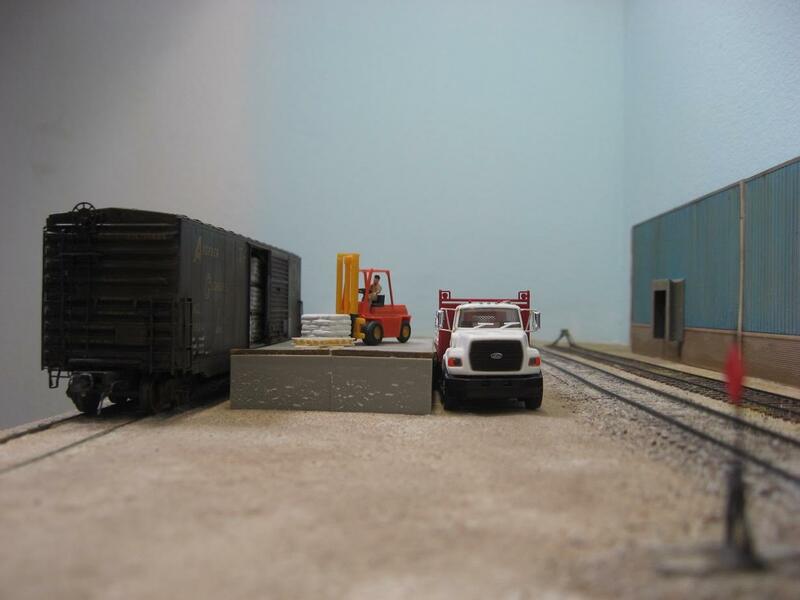 Team tracks are typically small railroad sidings intended for the use of area customers to personally load and unload products and merchandise, usually in smaller quantities. I love the way almost any kind of car can show up. 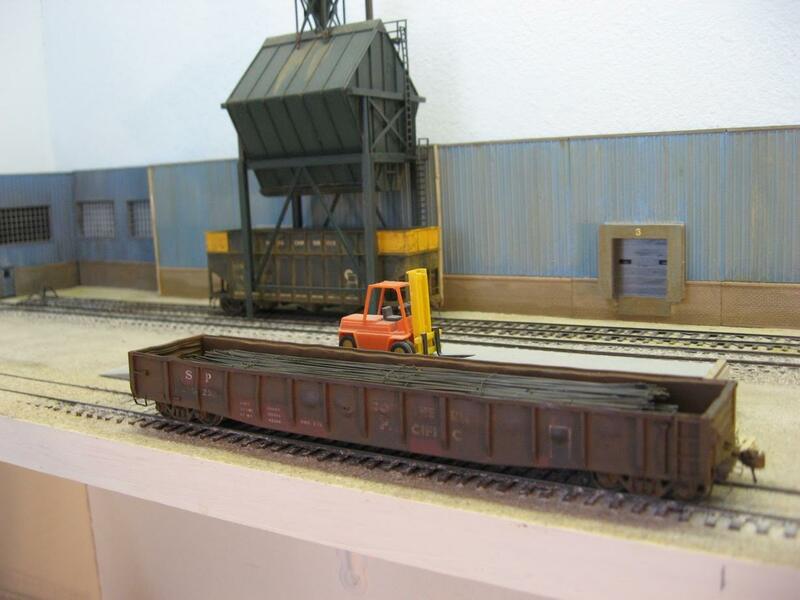 They are great for model railroads because they don’t need a lot of space and you can spot a wide variety of cars and road names there. No building is necessary. 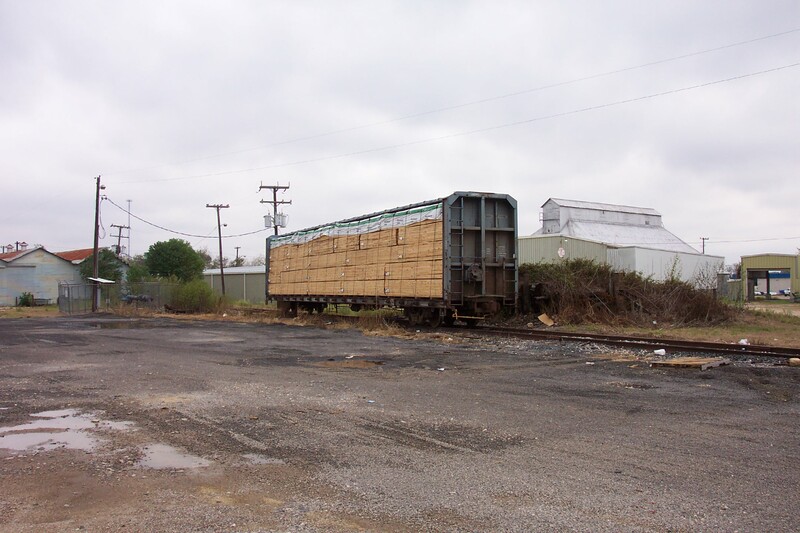 Just a flat spot where customers can load or unload freight cars. 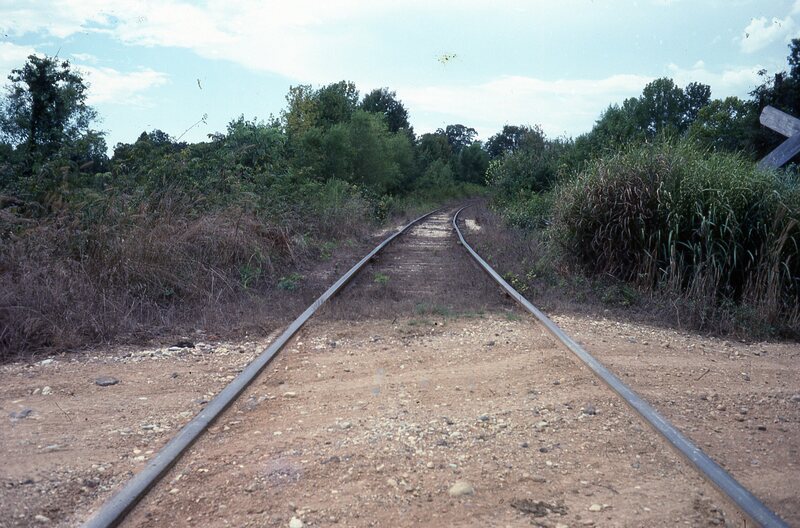 There were a number of team tracks around where I grew up in Houston. The two I kept the closest tabs on were near the corner of Griggs and Telephone Roads and at the Mykawa Yard not far away. 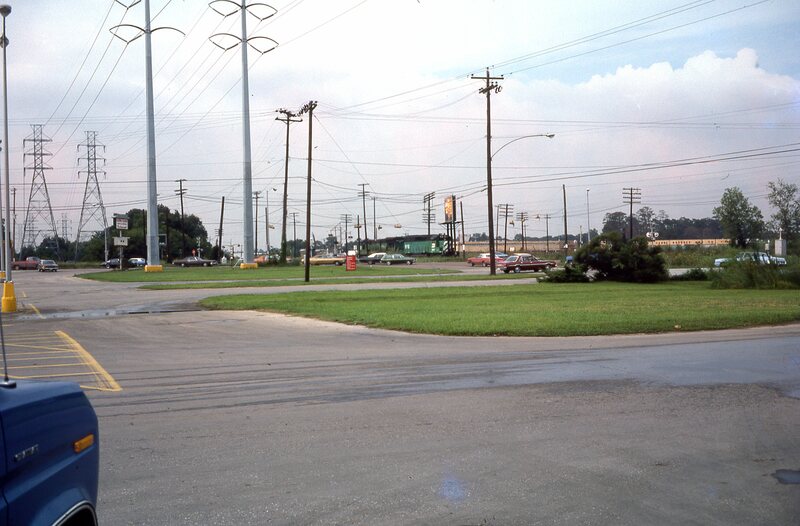 Modern day remnants of the Griggs Road team track on the old SP in Houston. 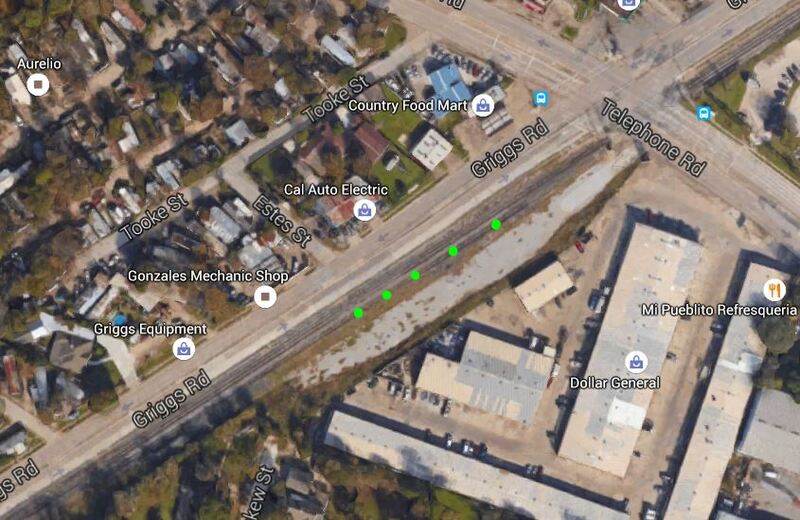 Green dots show the track I saw being used often as a kid. 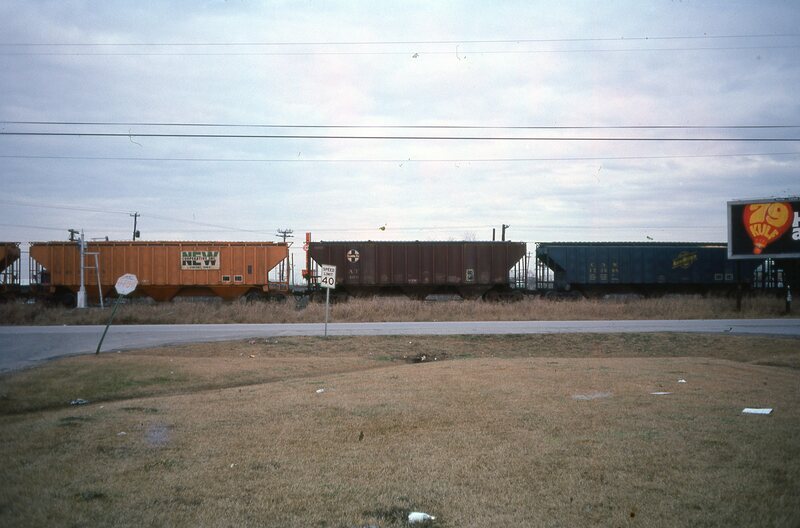 I saw a wide variety of boxcars and gondolas (gravel) being unloaded over the years growing up. Not once did it dawn on me to record it with my camera. It’d be there forever, right? 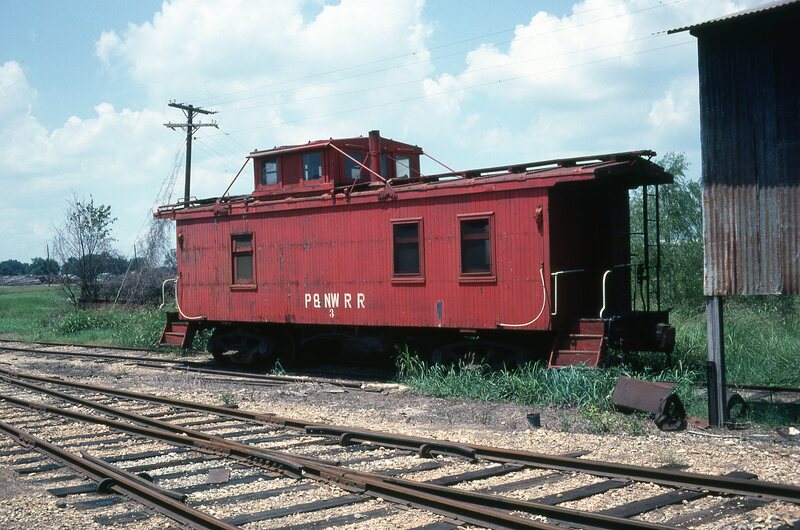 Even though it was on the SP, I vividly recall a very old mineral red UP gondola (complete with a “Be Specific Ship, Union Pacific” logo in yellow.) being loaded there with old tires one afternoon. 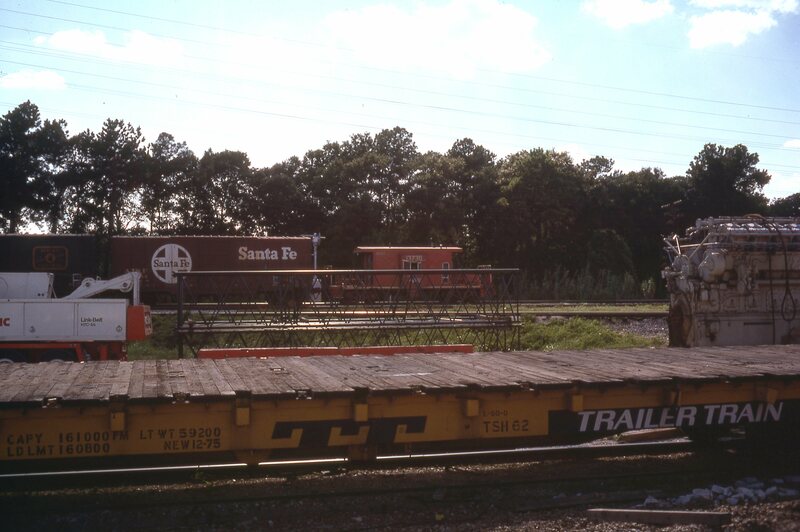 I loved this team track because it let me see cars from many railroads and a wide variety of loads. 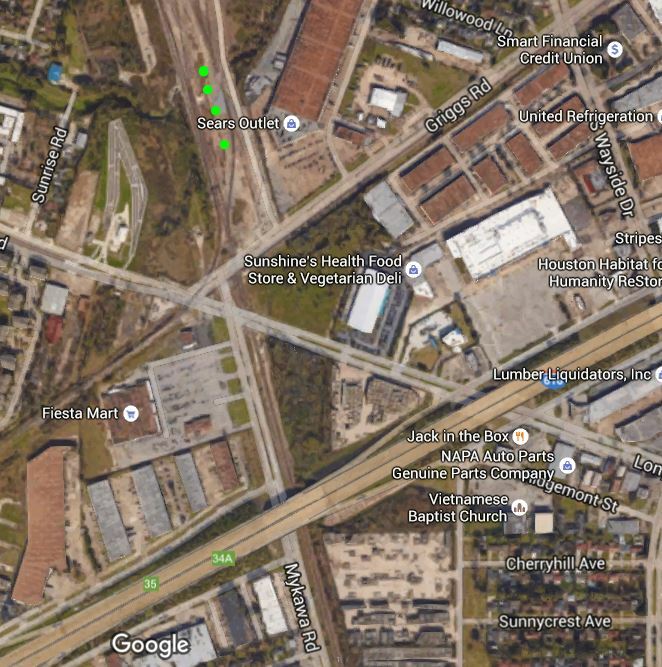 Mykawa Yard team track, see green dots for approximate location. Modern day photo. 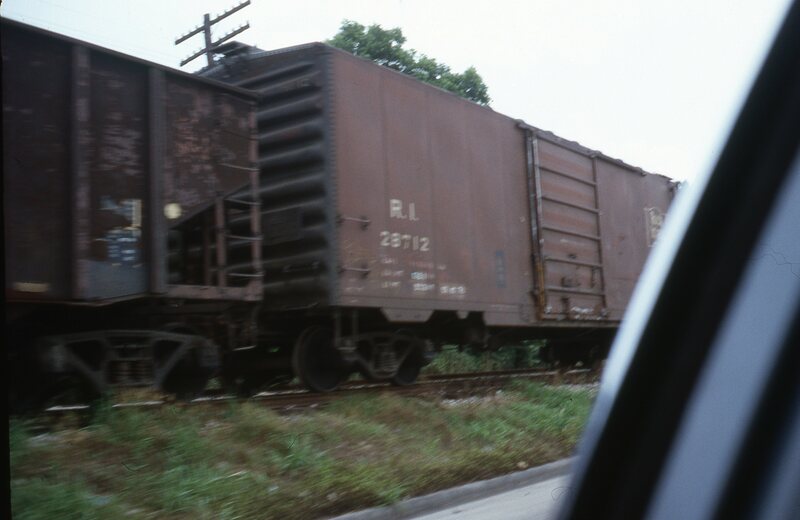 I recall many boxcars, refrigerator cars, tank cars and some heavy equipment on flats. Above is possibly my favorite car that ever came in for some reason. The other side was open. The car had been emptied. 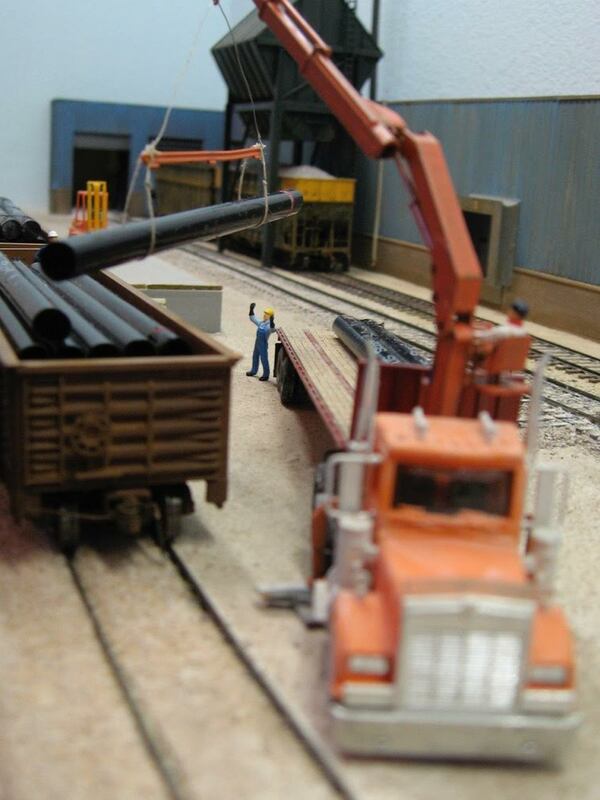 Team track are great opportunities for modellers. They offered a lot of operation possibility with very modest modelling required. One rule though is keep them messy! 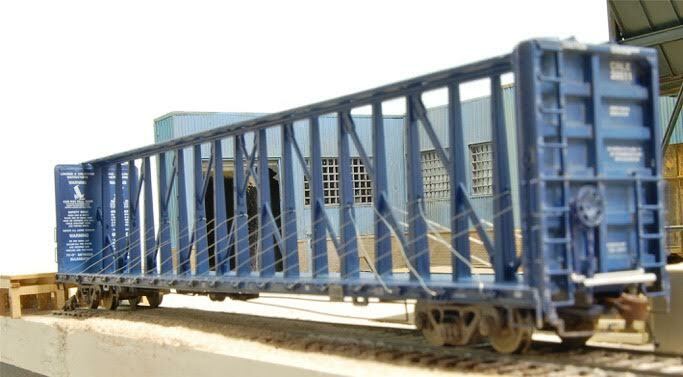 Railroads used to put a lot of thought into how they decorated their rolling stock AND there used to be a lot of large to medium sized railroads. This makes modelling the 1970s and 80s a bit more interesting. 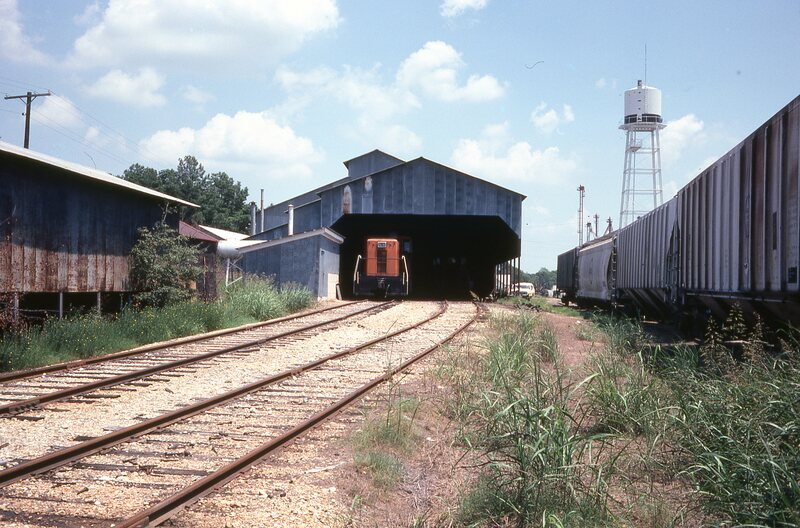 A lot of the iconic railroads stayed independent until the early 1980s. Just check out the diversity in the following pictures from that era. 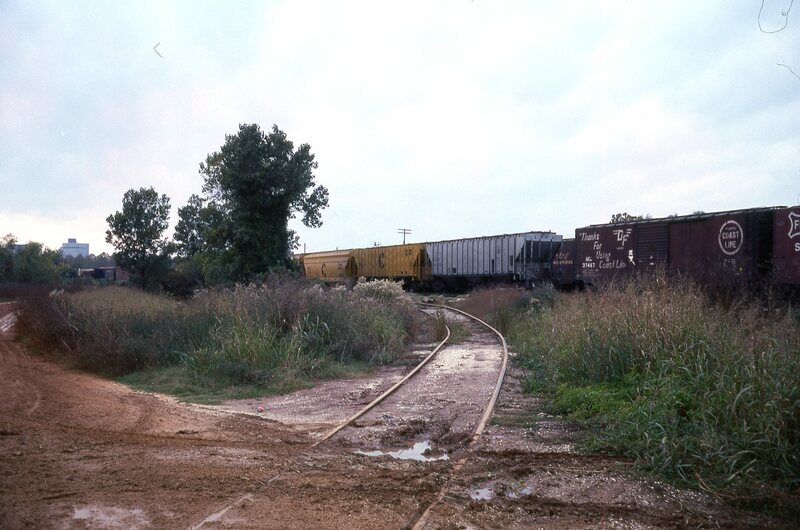 Here is a sequence from a 1979 ATSF freight train. I could go on and on, but I just wanted to give a glimpse into the diversity. Ah, these are great memories! Memories can be a big part of why we model. Hope you found them great too! Last couple of posts, I shared some vignettes or scenes that evoke special memories that I may seek to at least partially evoke through modelling in the future (somehow). This post will share a few more. 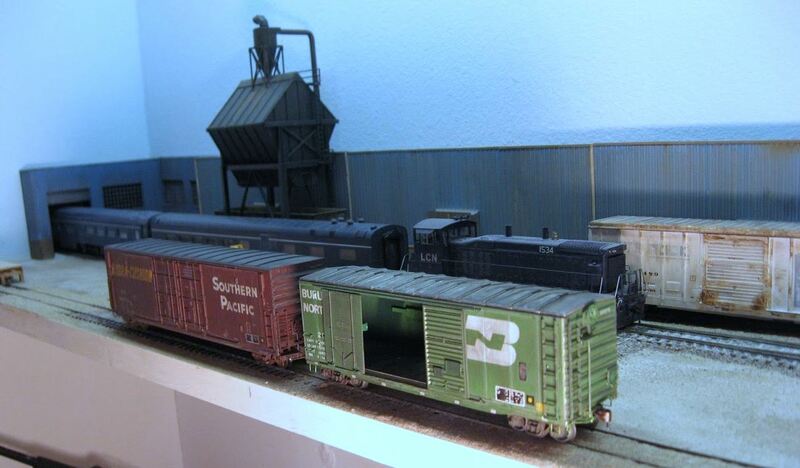 Lots of carload traffic and small scale shipping! 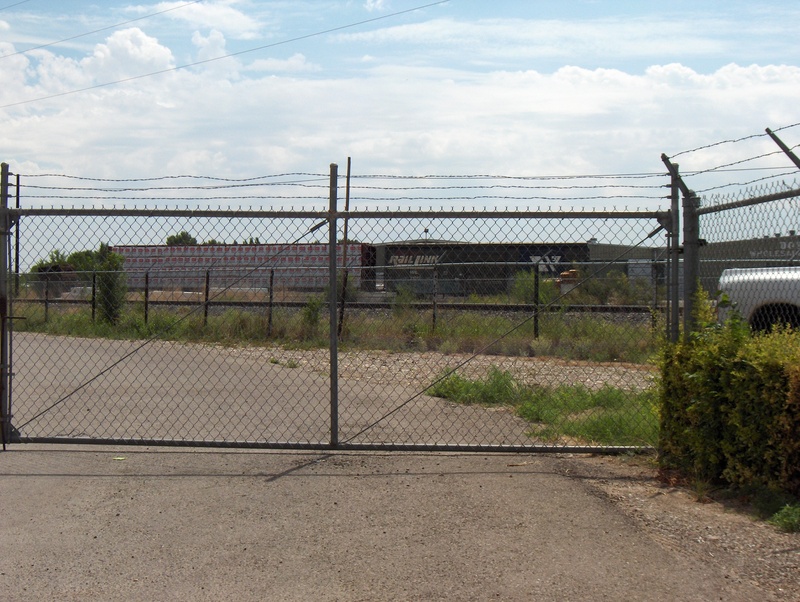 I really miss seeing a car or two spotted next to warehouses and factories across the landscape. You can still find some of this across the country, but Class I railroads have really tried to minimize this form of traffic. 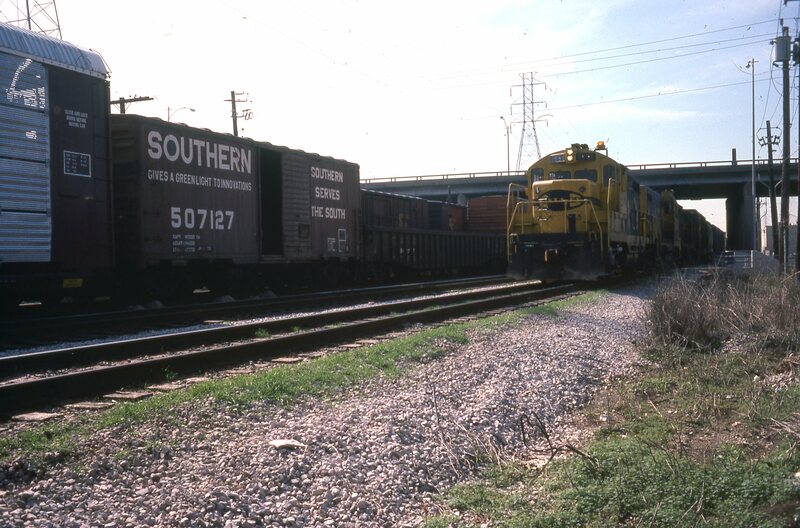 Many short lines and regional railroads still embrace smaller shippers and offer an opportunity to see this type of traffic. 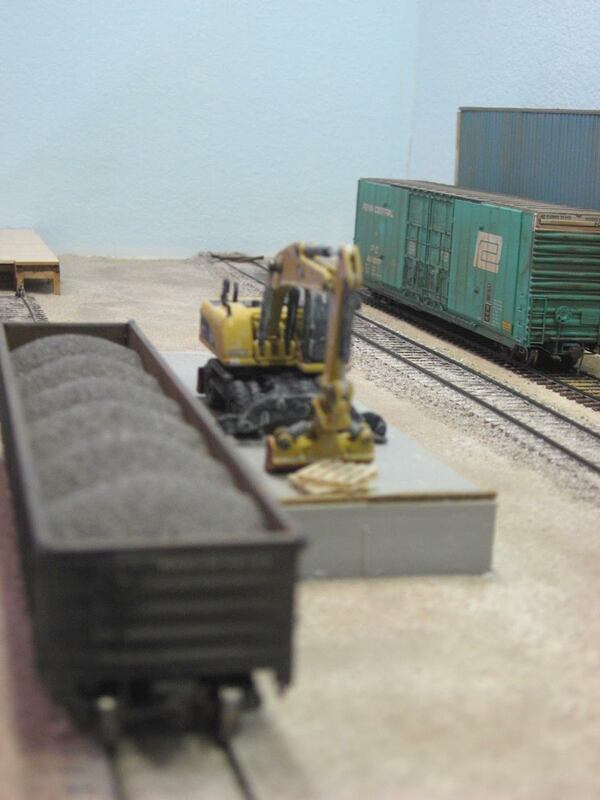 ICG #920251 holds a load of tires and other items. 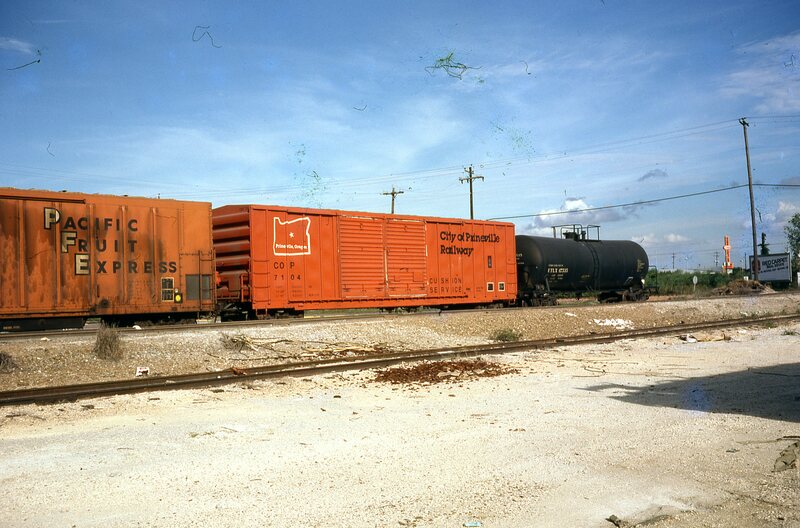 A single car that will be spotted somewhere cruising through a freight yard in Houston. 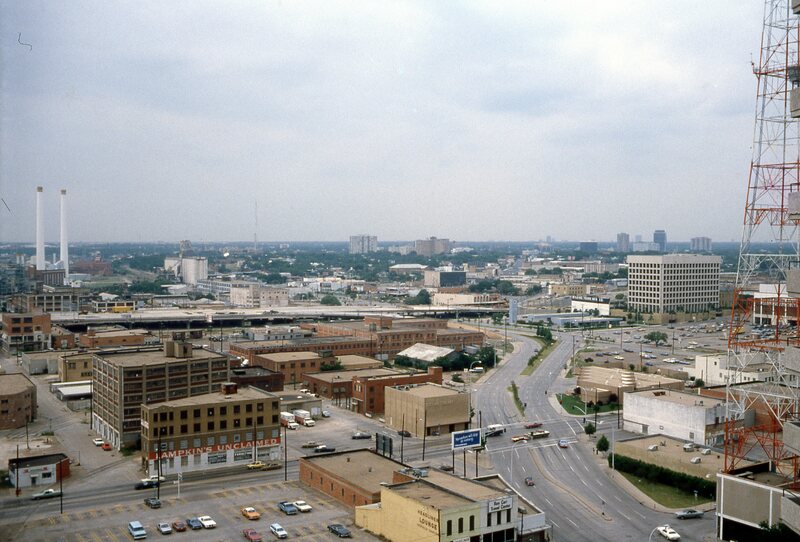 At one time, tracks were almost everywhere in urban settings. 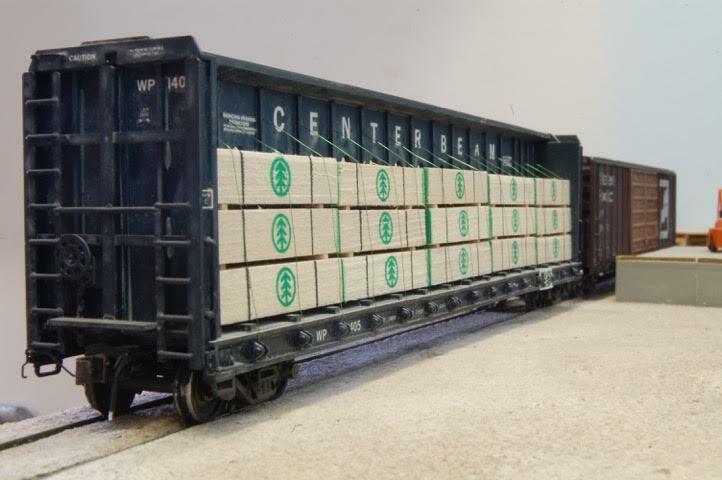 It was great seeing tracks weave around urban settings with numerous businesses receiving a box car or two. 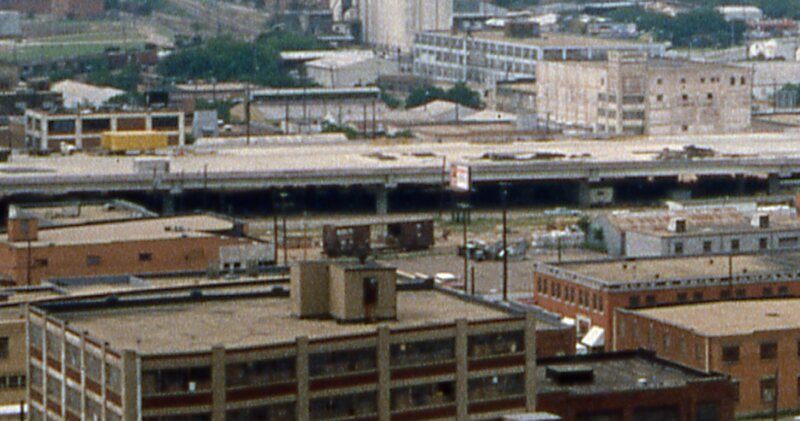 If you study the 1980 scene of Dallas above, you can see tracks in the distance and a single Southern boxcar spotted for unloading. These scenes were so common, that I failed to note their significance and deliberately record them. Here is a perfect example. 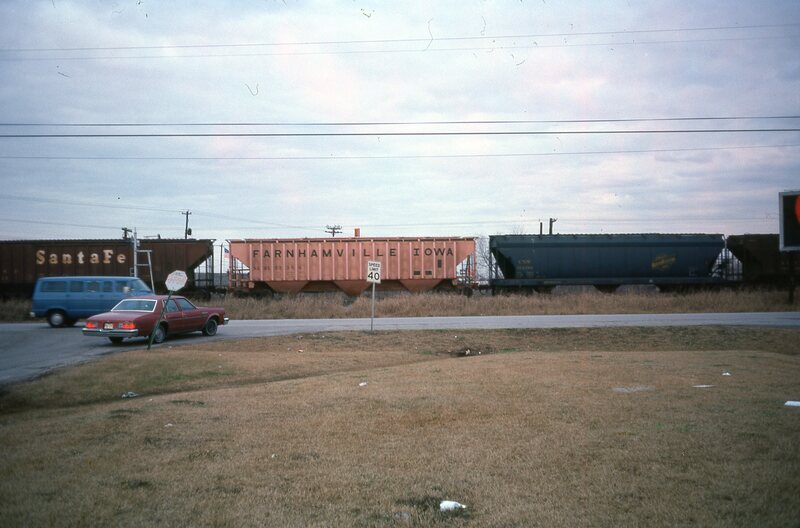 When I recorded this scene in Ashdown, AR in 1978, I failed to take a picture of a Detroit, Toledo and Ironton boxcar (of all things) spotted at the business to the right. You can still find a little of this type of traffic on Class I railroads such as the post I wrote last year on one of my favorite spurs in Texas. 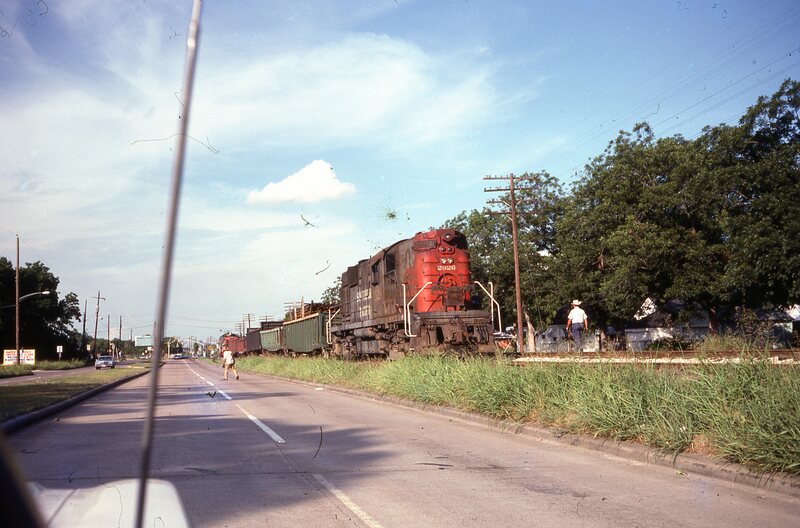 Not all my rail memories are from the late 1970s! 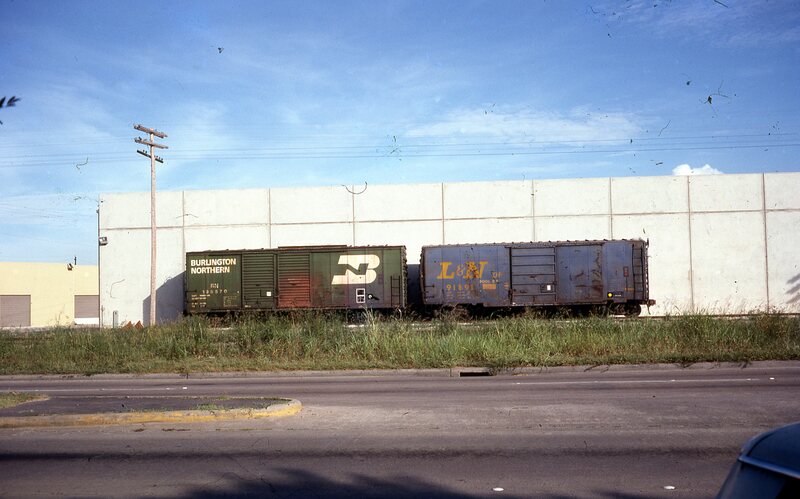 I now look back and realize how special these scenes of 40-foot boxcars are. This was the closing days of forty footers across the nation. 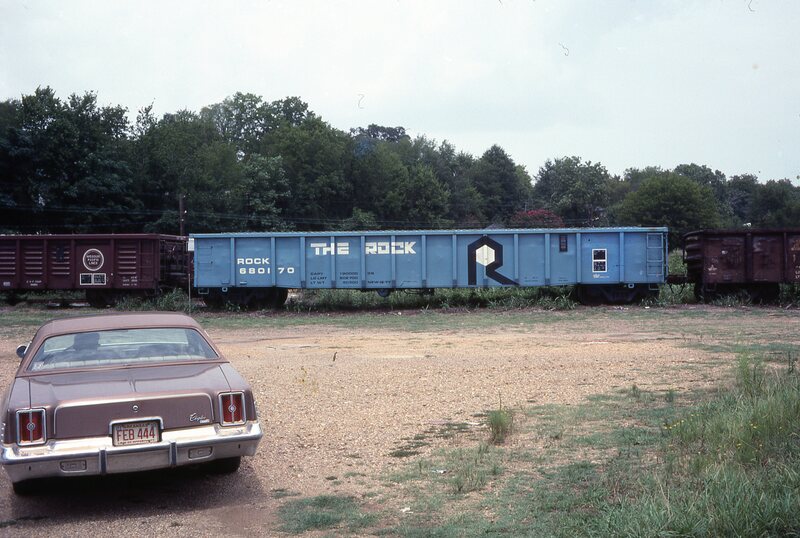 Within five years, catching a 40-foot boxcar would be very rare. Wish I’d known that when I was out there taking pictures. I did manage to catch a few of them. The initial picture in the post above (BN and L&N forty footers) also illustrates the beloved 40 footer. Next post will focus on team tracks and diversity of road names. 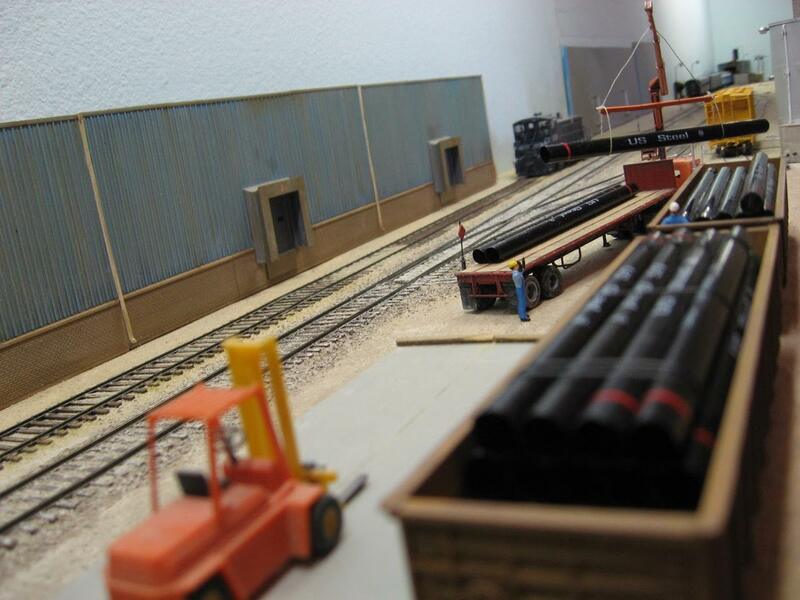 Last post I shared some vignettes where I have done a little modelling to capture poignant rail memories. This post I will share additional photos I took when I was a teenager of other scenes that evoke special memories that I may seek to at least partially evoke through modelling in the future (somehow). 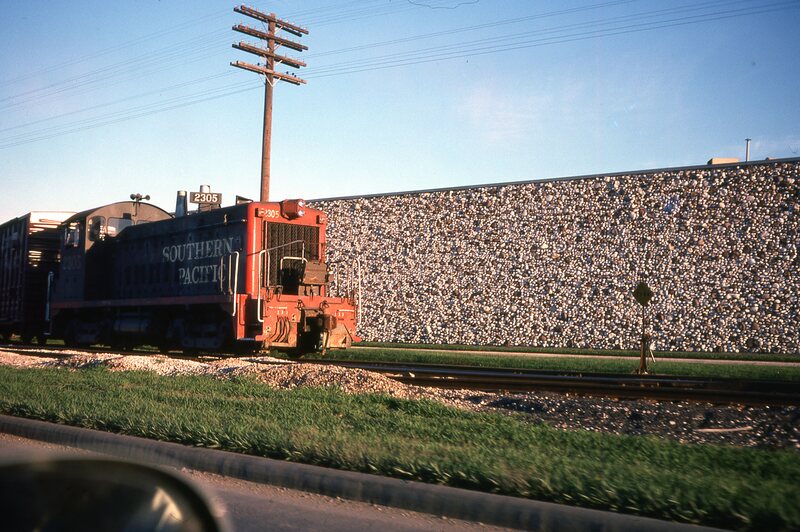 I loved riding by the Frito-Lay plant in the late 1970s. 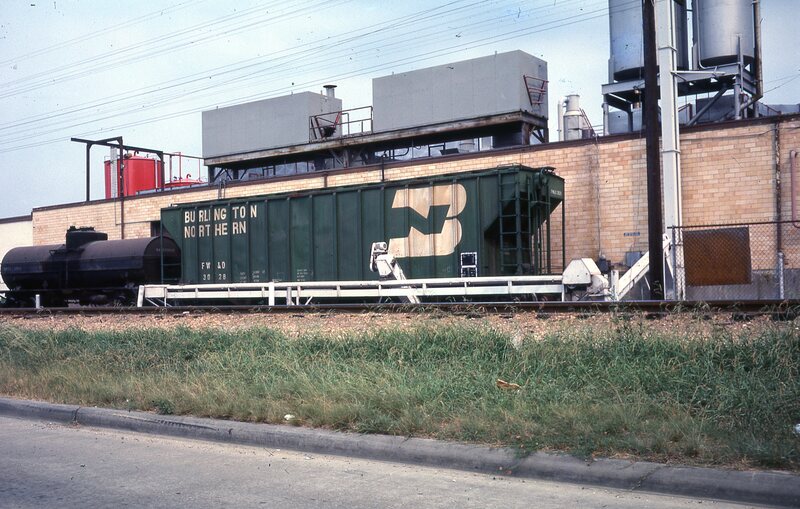 There was almost always a tank car and a covered hopper, and it was frequently switched out. 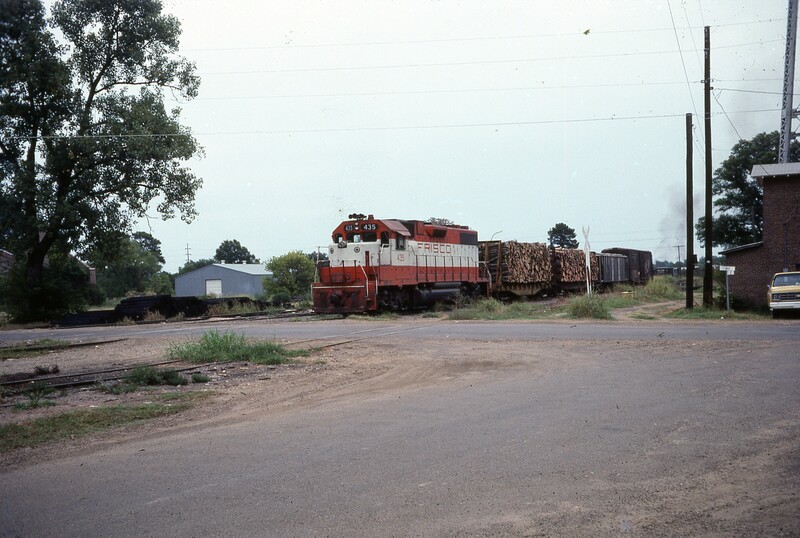 The covered hoppers were almost BN or predecessor roads. 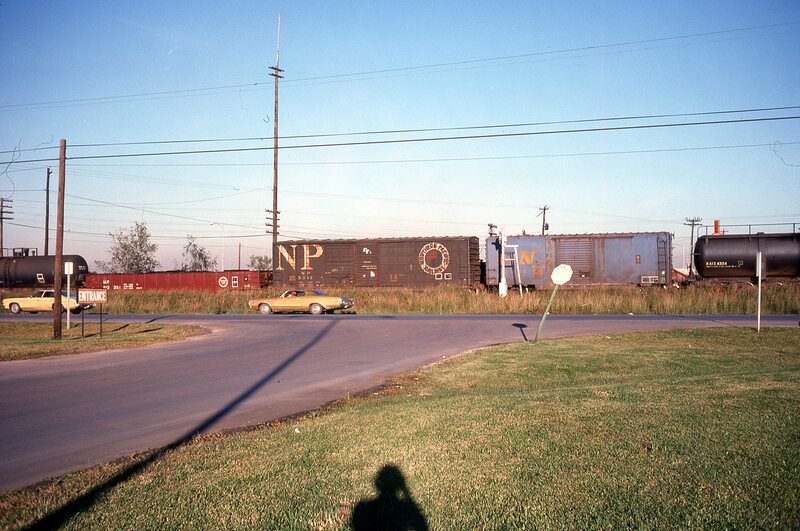 CB&Q and a variety of NP cars (green and gray) were common. Wish I had taken many more photos there! 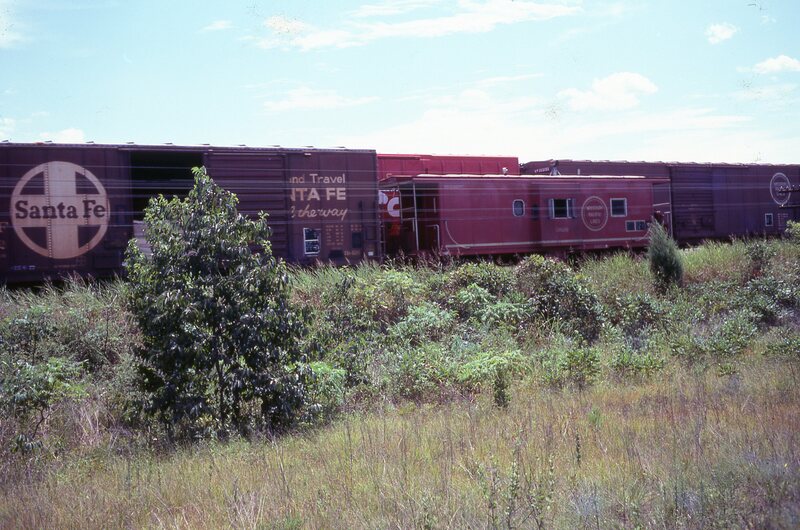 I loved when cabooses trailed the train. 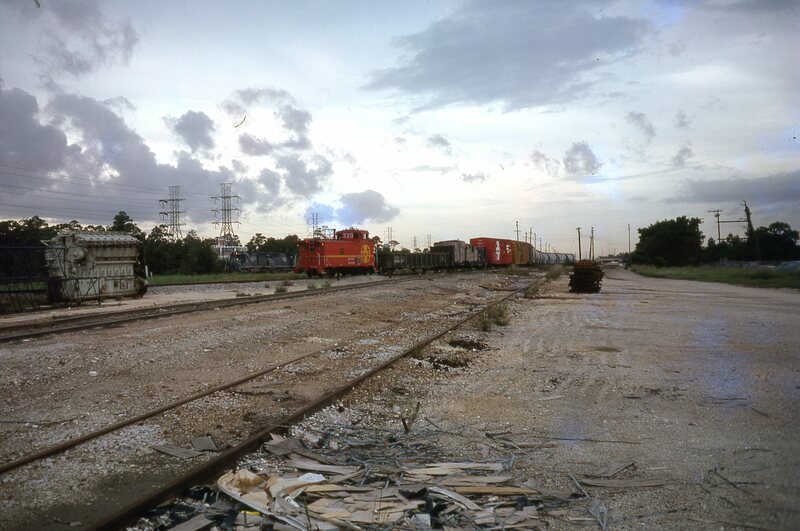 It was a nice closing to the experience of seeing a freight train. 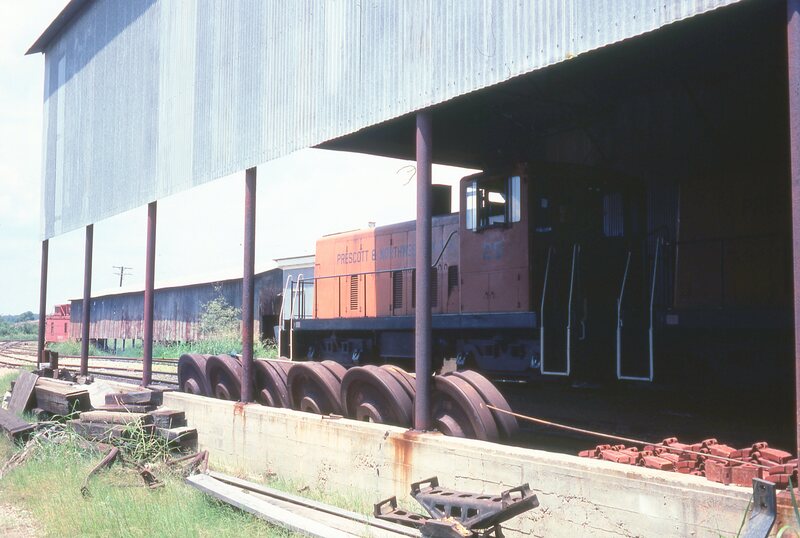 It gave you closure as a rail fan. 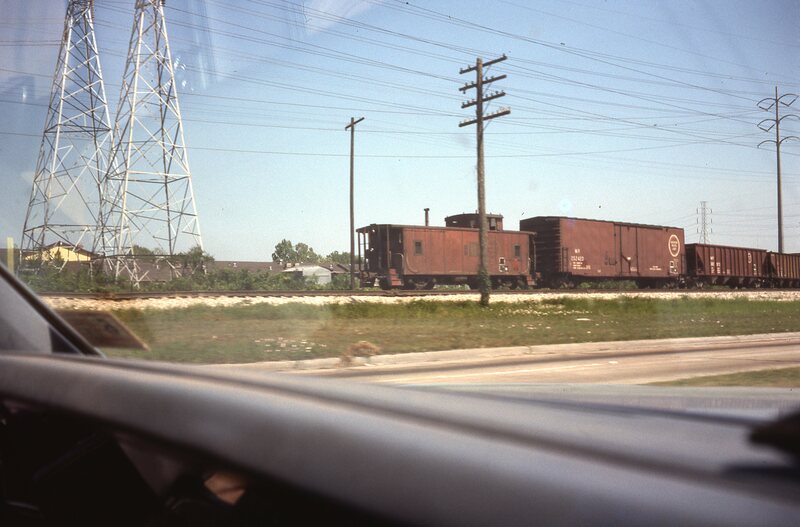 It was a consolation prize of the train ending and gave the closing a human touch–especially as a kid, when a rail employee would wave to you. It was as though the entire train was saying good bye. There were special places across the landscape that had a mythical quality where you dream of seeing trains but never did. One such place was near my Uncle Arnold and Aunt Molly’s farm in Arkansas. Near their farm was a lonesome line that went off to a very small gypsum mine. I did a post on this mine last year. I finally found some of the photos I was looking for for that post, but I never found the picture of the Gypsum mine I took. 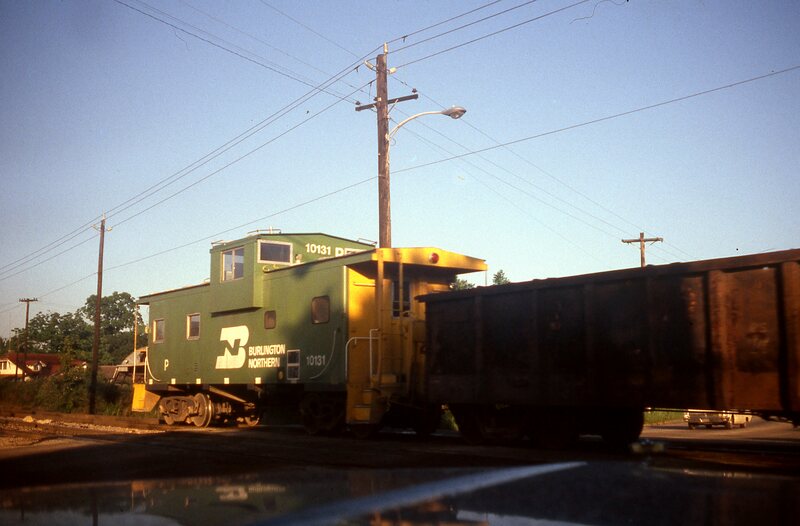 For many summers I hoped to catch the little train winding its way through the woods and over the hills to the mine. I only captured it in my imagination. 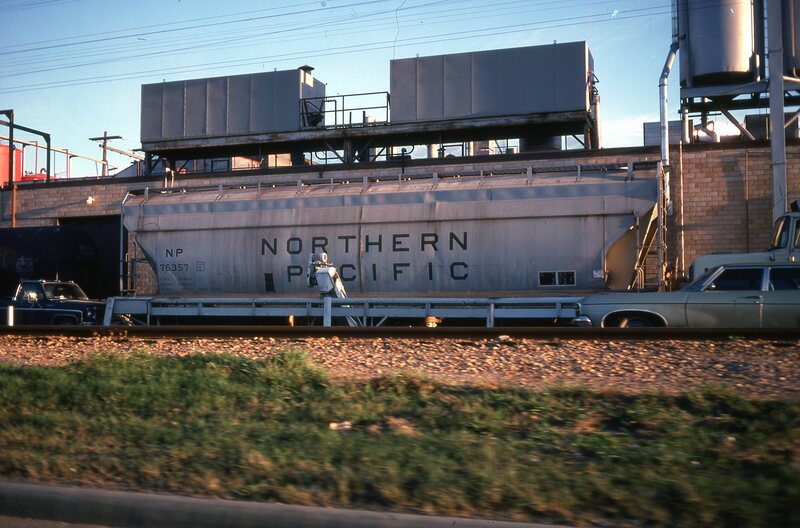 I grew up near a Southern Pacific line. The line saw a lot of locals and an occasional long freight, I vividly recall one highlight that took place at night. 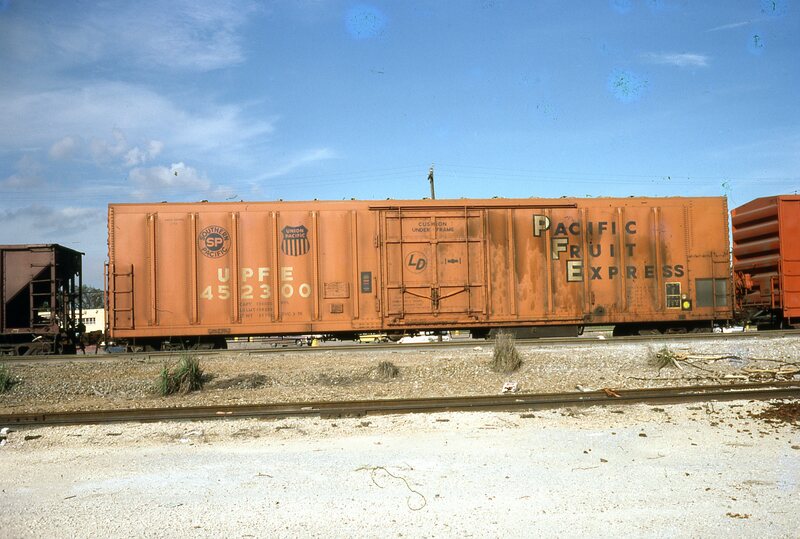 I remember a Southern (not Southern Pacific) caboose slowly trailing a long freight headed east. I still remember being able to look inside because it was illuminated. Funny how certain memories stick with you. When I would go to bed at night and hear diesel horns from that direction, I would sometimes imagine what kind of train was passing on the line. Those were the days. I have more to share in Part III.